6 Ways You Can Screw Up Valentine’s Day - VDayFails to Avoid! Ahh, Valentine’s Day. You either love it or hate it; there’s often no between. For some, Valentine’s Day is the ultimate celebration of love, romance and all that is Nicholas Sparks in this bankrupt world. For others? Valentine’s Day is an annoyance or, at worse, a time to feel really cruddy about life. For our purpose, we’ll focus on the former! Calling all brave, valiant souls who accept the Challenge of Love. Warriors of Amour, who step up to the romance home-plate like “A-Rod” in a final, bases loaded inning of the World Series. The mission? To woo your spouse with the ULTIMATE in love symbolism! Forget roses. Forget candy. If you want to tell them you REALLY love them, creativity is called for. Except sometimes it goes wrong. Very wrong…. Consider this your warning. Unless you want to screw up Valentine’s Day and have a major #VDayFail ! Here are a few examples of ways you can tank on the most romantic day of the hear. When your lady says she likes lingerie… we don’t think she had this in mind. 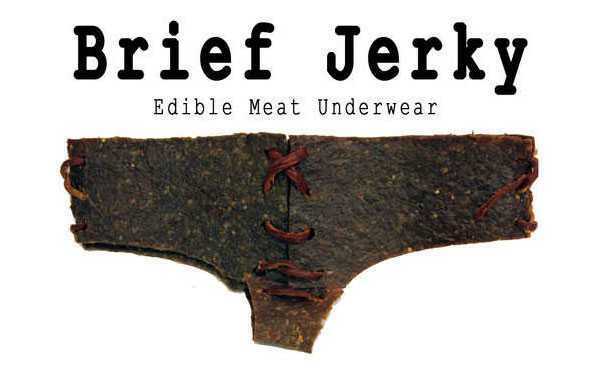 Now presenting… Brief Jerky. Yes, you see correct. And you may have heard of the idea of “edible” underthings? But, somehow, this version takes it to a whole different level. We appreciate quirky gestures of romance with the best of them. This “beating heart in a bottle” statue, just makes us stop and think. And we’re kind of confused. For $100, you too can express your love in such a fashion. 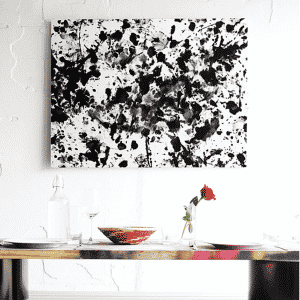 This is a very creative way to make some wall art using your loved on and some paint. We were almost hesitant to include this it’s so oddly quirky. Yet we can see it now. An evening at home. Paint. Slippery surfaces… and a trip to the emergency room! We’re all for creative gift giving, but it should be noted that now isn’t the best time to get too wild. Here’s what we mean. Stay safe; don’t drink and drive. If your idea of romance includes (a few) bottles of champagne, than skip driving. Call a cab, take a Lyft or plan an evening at home. Your safety, the safety of your loved one and, even other passengers on the road isn’t worth the drink. Car accidents happen every day; from small fender benders to life-threatening accidents. Always exercise caution when hitting the road – especially on a day when other drivers sharing the road are more inclined to be distracted. Holidays, like New Years, Valentine’s Day or even a day like Super Bowl Sunday, are all days where folks may have pre-occupied minds! Products fail all the time. Tools, furniture, electronics, etc. Any product you have in your house could become defective at any time; sometimes defective products cause serious injuries. Our warning to you? Read the instructions. Always. It sounds silly, but if it keeps you safe, then take an extra few minutes before you install that hanging swing, or before you put together that new patio furniture they had their eye on for Spring. What happens if you do use your gift correctly, but something still goes wrong? You may have legal recourse to seek damages for your injuries. But remember, safety first and always! We’ve come across more than one cautionary tale about a guy putting an engagement ring inside food that accidentally gets eaten. We understand it may seem ultra romantic to submerge a diamond in champagne or chocolate mousse— we highly suggest skipping this to avoid any unscheduled trips to the emergency room! The last two ways you can totally botch Valentine’s Day should be pretty obvious. Up first? Forgetting the day entirely. You have a few days left; mark the date on your phone. Set alerts. Pings on your email calendar. Whatever you do, don’t forget the day entirely. It’s virtually impossible to avoid the windfall of red, pink and white flooding every store these days — but just in case (hey, you are busy, we get it) give yourself a reminder. Falling for the “I don’t do Valentine’s Day” when they say it. You know how sometimes what people say and what they mean are two different things? This is one of them. We don’t care if your spouse says “I don’t do Valentine’s Day” or if they tell you to save your money for the bills. 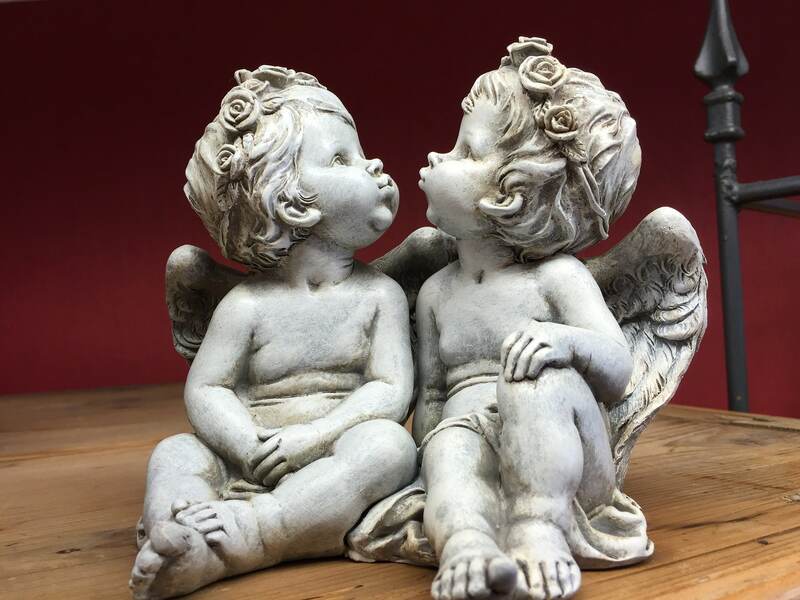 Valentine’s Day (although extravagant and, yes we agree, a bit commercially over-the-top) is always a good reason to tell someone you love them. You don’t need a fancy gift. You don’t need flowers. All you need to do is give them the gift of your thoughts and your time. Put a PostIt near their bag for work, slip a note into their lunch, send a card in the mail a few days before. The only way you can truly botch Valentine’s Day is by ignoring the love you feel for that special someone, and missing the opportunity to tell them that you care!